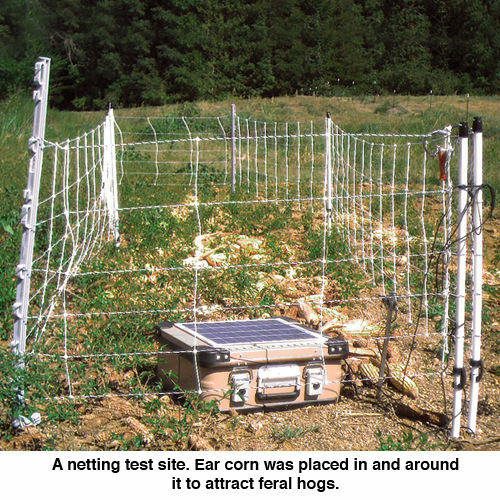 A 24" tall net designed to contain domestic pigs and exclude feral hogs. Recommended for areas with wet or dry soils or heavy feral hog pressure (food plots, gardens, etc). The bottom strand of the net is neutral and rests on the soil/grass. The lowest live strand is only 4" above it. The next 6 live wires are only 2" apart. The extra strands ensure the animal is shocked before it sticks its nose through the fence. This reduces risk of the shocked hog charging forward. Netting is also more effective than multi-strand fences because it is more visible. HogNet 10/24/12 can be easily changed into a Pos/Neg fence for dry sites. 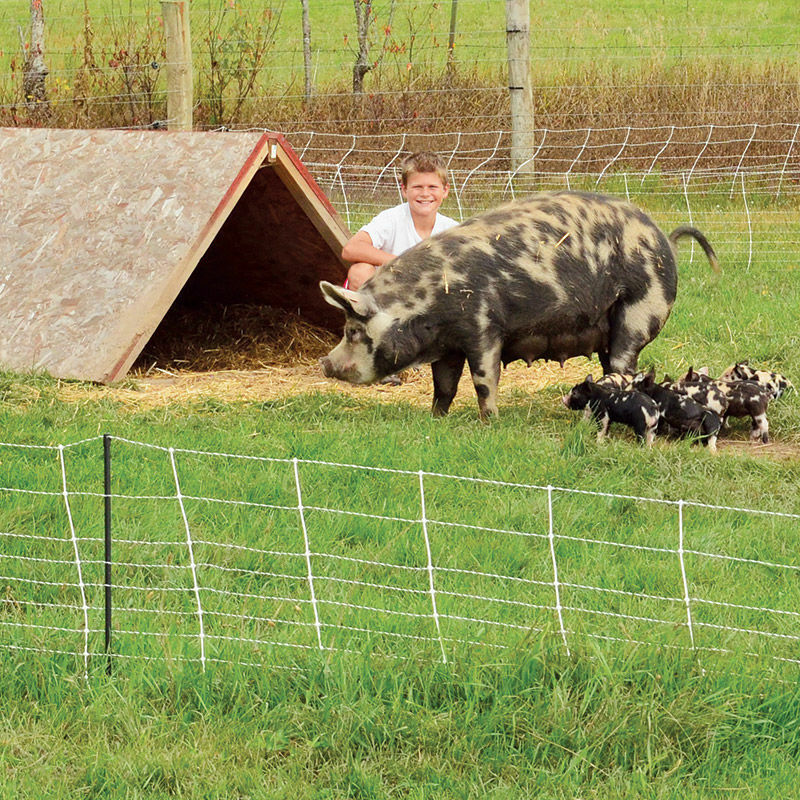 Domestic Pigs—Easy to contain due to their excellent hoof-to-ground contact. Less likely to charge than their wild counterparts. 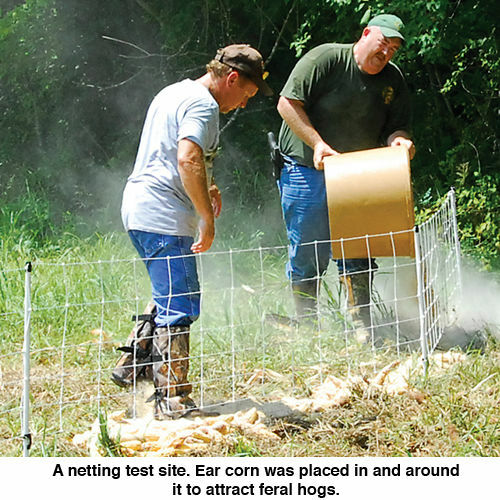 Feral Hogs—As those who live in wild hog country know only too well, feral hogs are a rapidly growing problem with no simple solution. 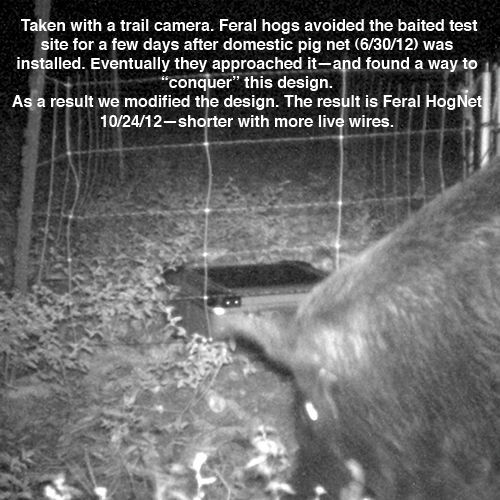 Regrettably, the hogs are as smart as they are aggressive and destructive. So it’s common for them to find ways through, under or over physical barrier fences. However, electrified fences do work and work well. Why? 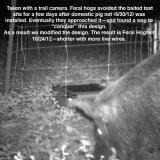 Hogs use their nose/snout to investigate new situations. The bare nose ensures that contact with an energized strand will send a hog-stopping pulse (if the energizer is large enough) through the hog. 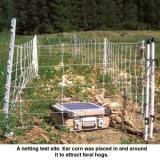 Experience suggests that domestic pigs need to be trained to electric fence. Why? Because pigs new to electric fence may decide to respond like pigs—and charge forward through the fence instead of backing away. How? Set up an electric fence alongside (1 to 2 ft away) a secure permanent fence that the pigs can't get through. Make sure the fence is electrified—at least 3000v at the end of fence. Introduce the pigs to the fence. Monitor the pigs for a few hours. Note: Failing to train domestic pigs to electric fences can be expensive—damage to the fence plus the damage the escaped pigs might create. Post Diameter 0.51" 0.51" 0.75"
Spike Length/Diameter 6"/0.26" 6"/0.26" 8"/0.31"
The same “unroll and then unfold” process applies to all electrified nets. Minimal strength or skill needed (and no tools). Extra supports such as FiberTuff™ step-in posts are useful at corners, curves and ends. You will need a fence energizer to electrify the net. HogNet is a visual/pain barrier, not a physical barrier. So, it must be electrified with a powerful energizer to be effective. At the top of the netting, disconnect the 2 stainless steel clips. Using a PowerLink, connect the lower clip to the energizer’s ground rod. Connect energizer’s fence lead to the netting’s top clip. Choose the length and the amount of netting needed. (Example: A 150 ft fence requires one 100 ft net and one 50 ft net.). 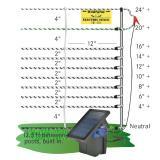 Electric fence energizer kit for keeping livestock in and their predators out. 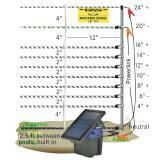 Plug-in (110V) electric fence energizer kit to keep livestock in and their predators out. 1.0 joule output.